A piece of advice that dieters give their clients is that you should eat until you are full. This does not mean eat as much chocolate cake as you can stomach, but rather select foods that make you full in tinier quantities. However, it’s not always about the amount that you eat that makes you full. In fact, there are several foods out there that you can consume to your heart’s content without feeling any guilt or putting on any weight. If you’re looking for a diet plan that consists of eating as much as you like, then the following food items are definitely for you. Note to the reader: the foods listed here are safe to eat in any quantity, but you’ll most likely be full before having seconds. 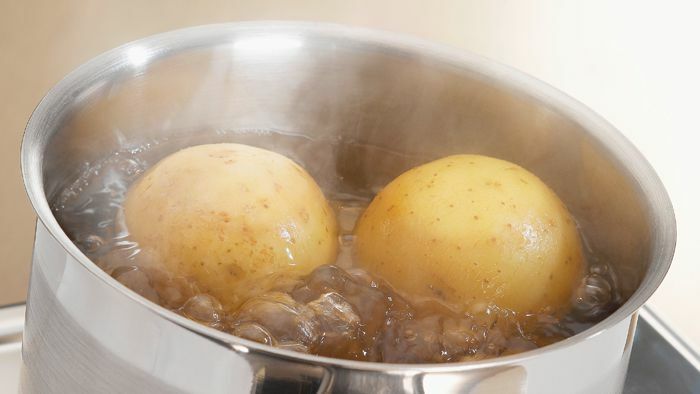 Boiled potatoes are a dieter’s best friend since a little will go a long way. Feel free to eat as much as you’d like, but you’d probably feel full way before your second potato.